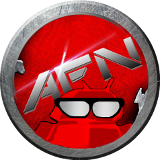 Here are Android Fan Network’s Weekly App Picks from the AFN staff for the week of May 11. These may be apps we can’t live without or apps we just discovered. Either way, we think they are worth sharing with you. If there is an Android app pick that you think we may enjoy, send us a tip so we can take a look. This is an oldie, but a good one. It is rough on the eyes and does not adhere to Google’s own design requirements suggestions, but it is invaluable. It is a voice mail replacement, a free way to text and make calls over WiFi (3rd party app required), and a throw away number. Even today, with multiple free alternatives out there, some carriers still charge for visual voicemail. 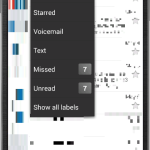 Visual voicemail is simple, the ability to choose what message you listen to and in what order, all through the ability to see(hence the word visual) said messages. There are many benefits to this, such as not accidentally erasing a message, not having to listen to five old messages just to listen to the newest one, or simply not forgetting about an old message because you see it every time you open your voicemail app. 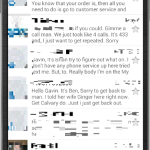 Another added feature of Google Voice is transcribed messages. While wildly inaccurate, the ability to get an idea of what the voicemail is about without having to put the phone to your ear is priceless when you are unable to listen – like when you are in a meeting. Another benefit of Google Voice is the ability to never give my primary phone number out. If my bank, a website, USPS, UPS, etc requires my phone number, they get my Google Voice number. Google Voice allows you to add people to a blocked list or set all calls to silent, helping maintain my sanity from the ever-increasing computer calls about my “free vacation” that I just won. While I would prefer to never give out my number, it is necessary for some companies that I deal with to have a way to contact me, but they also do not need my direct private number. I want my bank to be able to call me if they suspect fraudulent activity, but at the same time I do not want to have to worry about them selling my number to a third-party. With Google Voice, if they do, I can always just change the number or block them. This is my favorite use for Google Voice: free WiFi calling or texting. The last time I was overseas, I had to place a two-minute phone call from Germany to Belgium due to a delayed flight, and AT&T thought this was worth $14. With Google Voice and a third-party app (such as Talkatone) you can place calls from anywhere in the world to the US for free when on Wi-Fi or using your cellular data. There is no set up, and it uses your free Google Voice number, and the call quality is great. Even if you get a SIM in the country you are visiting, you will have a phone number for that country and it will require a long distance call when you call the US. Save yourself money and use Google Voice. Head to the link below to download Google Voice for free. 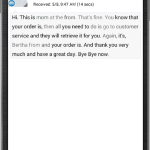 Do you depend on Google Voice? Chime in and let me know how you rely on Google Voice and any other creative uses you have found for it. Ever have an app or an APK that you must share with your friends or family? Or you just want a simple way to back it up to you SD card or one of your cloud based services? Let’s rewind to when that developer had that dopey game Flappy Bird on the Play Store and told us we had 24 hours to download before be took it down for good because the game and players were making him mental (lol). If you are (or were) a fan of Flappy Bird, this would have been the best time to have an app like APK Share & Backup installed. Those few silly people buying Galaxy S III’s for crazy amounts of money with Flappy Bird installed could have saved a lot of time and money if they did. APK Share & Backup is pretty simple to use really. After installing it and opening APK Share & Backup, it will give you a list of all the apps you have downloaded on your device. Once you find the app you would like to share or back up, simply hit the check box for the app in the list and you’ll be presented a list of options to either share the APK to your favorite social media, cloud based storage, e-mail and other very simple ways to get that APK to your friends, or back it up (it backs up to your SD card). So, keep this app handy. You never know when a developer goes completely bonkers, not wanting $50,000 a day in ad revenue, and pulls his app from the Play Store, or you found an app that you must simply keep a backup of or share it. 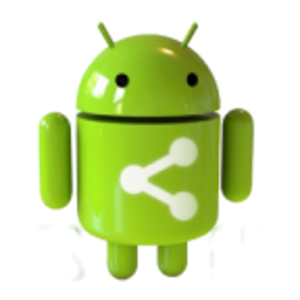 Either way, APK Share & Backup is an extremely easy to use for beginners and seasoned Android users to accomplish this. Hit the link below to grab APK Share & Backup from Google Play. This entry was posted in Featured, Reviews and tagged android, app. Bookmark the permalink.